Military uniforms vary by branch, rank and use. Each branch of the United States military has its own version of a military uniform. The different uniforms display the soldiers' ranks and branches of military. There are dress uniforms for formal military events and ceremonies as well as utilitarian uniforms for different jobs and weather conditions for each soldier. Each branch has some basic differences to tell them apart. The Army uniforms include four basic designs. The blue Army service uniform is worn for formal Army events and ceremonies. 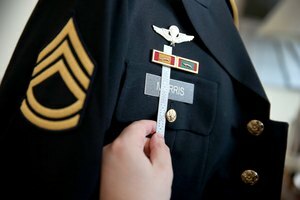 It has been simplified over the years to make the soldiers' clothing requirements less of a burden when traveling. 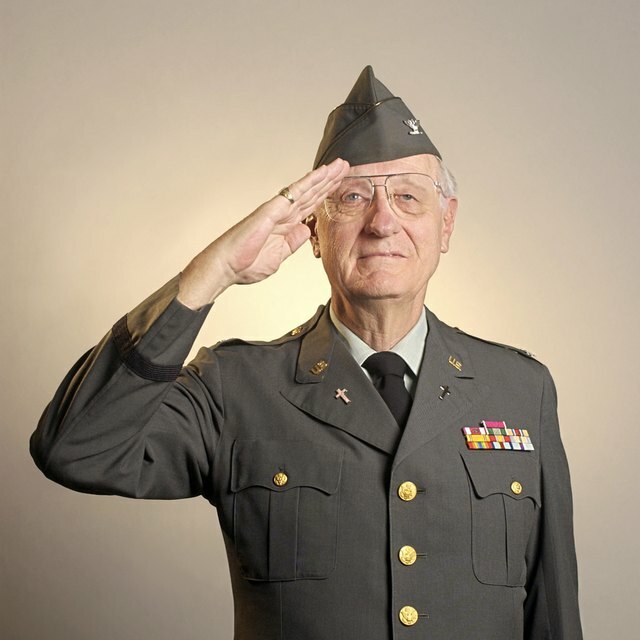 The Army green uniform is for basic use when traveling and more casual events for enlisted men and women. The Army combat uniform is for training and field exercises; it is more comfortable and includes many pockets and straps to allow for storing and hanging items in the battlefield. The Army physical fitness uniform usually consists of shorts or sweat pants and a tee shirt for physical training and exercising. The Marine uniforms include five designs. The dress blue, the evening dress blue and the blue-white dress uniforms are all the formal versions of the Marine uniform and used for distinct events and ceremonies. There is the service uniform for everyday dressing. The combat utility uniform is for combat, physical training and field exercises and includes many pockets and straps to store and attach items in training and the battlefield. The Navy uniform includes seven designs. The working uniform is fairly new to the Navy and is designed with blue camouflage for general everyday work. The service uniform has many designs including service dress, dinner dress, ceremonial, tropical and winter dress and the traditional full dress. Each one is used for different events and weather conditions. The Air Force uniforms include three basic uniforms that can change for ranks and jobs in the Air Force. Service dress is for basic everyday airmen dressing. Dress uniform is for special events and ceremonies. Battle dress uniforms are for training and battle, the battle dress uniform is varied according to the airmen's jobs in the field and in battle. The Coast Guard uniforms include six designs. The dinner dress blue, formal dress blue, dinner dress white, full dress white and service uniforms are all used for special events and ceremonies. The working blue uniform is the traditional battle-dress-uniform style and is worn for training and field work. Epperly, Michelle. 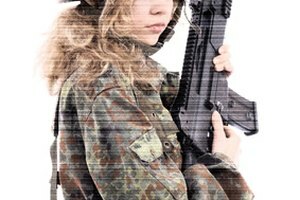 "Different Military Uniforms." 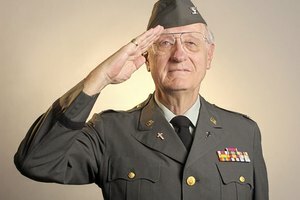 Synonym, https://classroom.synonym.com/different-military-uniforms-13583694.html. 04 October 2017.